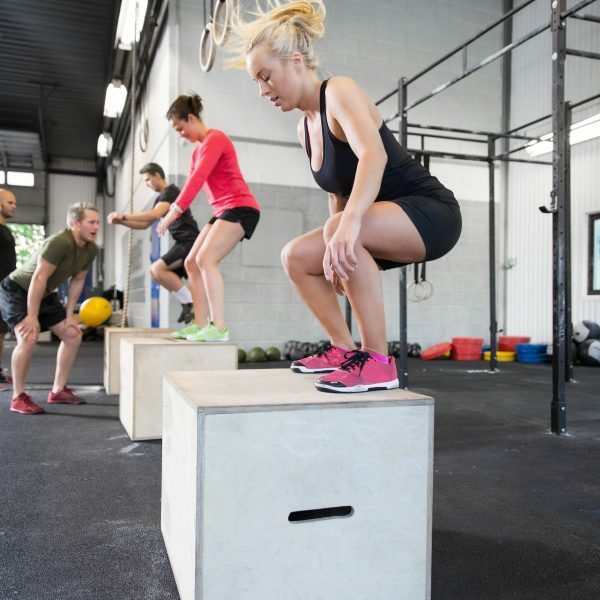 Plyometrics is a form of training that focuses on explosive movements, usually jumping, but there are also hops, leaps, bounds, and even throwing movements. Equipment is minimal, but for most exercises you require a plyometric box, and a medicine ball or two. There are many general benefits to plyometric training, but there are also a lot of sport specific benefits too. 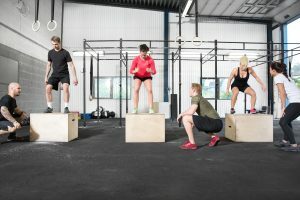 In this article we are going to look at the benefits of plyometrics for runners, and then show you four exercises that you can perform yourself. Running is one of the most commonly associated sports when it comes to plyometrics, just after basketball. Studies have shown that plyometric training can improve sprinting, while also improving middle and long distance running performance . Increasing acceleration , and explosive power make it an obvious fit for sprinters, but why it benefits longer distance runners may not be so obvious. The main reason why plyometrics is so effective as a training aid for long distance running is that it can improve running economy . This is a measure of the energy efficiency of each step during a run. The stronger your muscles are, the more co-ordinated they are, and the better your technique, the less energy you will expend when running. Think about it like this, when you were a kid first learning to write, how inefficient were you? Taking ages to spell words, using a pen for the first time, compare it to now when you can write a 400 word rant about politics on your facebook wall within 3 minutes! Improving running economy is one of the biggest reasons why adding plyometrics to your program is a great idea, but there is one other crucial benefit, adding plyometrics can massively lower your injury risk . Considering recreational running is one of the biggest (if not the biggest) cause of injury among amateur athletes, this last benefit is a potential game changer. There are hundreds of plyometric exercises that could help runners, so we are just going to look at four of the best. To perform these you will need a plyometric box and some cones. A nice easy exercise to get us started, all you do is stand with feet shoulder width apart and then bend your knees slightly and jump forward as far as you can. Land softly with knees bent, when you are ready you can turn around and repeat the exercise. Or if you have the space you can just keep jumping in a straight line. Stand on a box and then jump down onto the floor, you’re not aiming for distance here all you have to do is jump down onto the floor and then jump straight up again. To increase difficulty you can raise the height of the box, but remember that this is a lot more intense than it appears. See how you feel the day after your first set of depth jumps before deciding that you can manage higher. This exercise builds onto the last one, perform a depth jump just like we described. When you land immediately perform a broad jump. This will really help build power in your legs, but as it is a difficult and intense exercise you should limit the amount of reps that you do. For this exercise you would ideally have the opportunity to draw a small 4-squared box on the floor. If you can’t do that then use cones, or worst case scenario, you can just imagine one. This drill can be performed as a single-leg hop or as a jumping exercise. Number your squares from 1 to 4, and then you are going to hop into them using different sequences. You can do lateral hops following a 1, 2 sequence. Or you can go backwards and forwards with a 1, 4 sequence, diagonally with a 2, 3 sequence, or any number of different combinations. This exercise is great for improving your hip stabilisers.